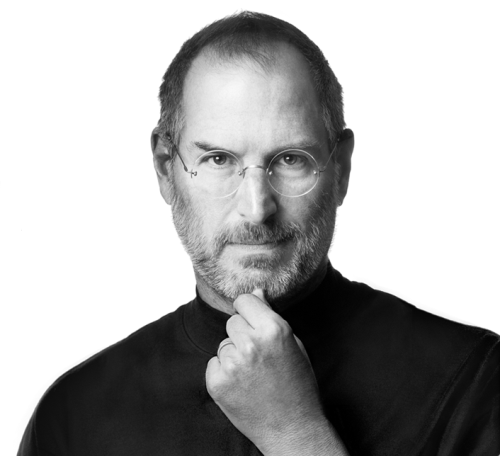 Steve Jobs exemplified the power of visionary leadership. He brought Apple from the brink of bankruptcy to the pinnacle of success, the leading technology company in the world. No one in the realm of business has personified our favorite motto better than Steve: ‘The Unabashed Pursuit of Market Leadership”. As much as Apple has become an icon of the best of America in the minds of people the world over, Steve Jobs will be remembered as the greatest iconoclast of business for generations to come. He challenged conventional wisdom and traditional beliefs, and shattered the very foundations upon which traditions and institutions rest. It was Steve who envisioned the “post PC era” that began with the iPod, the iPhone and the iPad, products that changed the game for entire industries. He turned the tables on many entrenched, incumbent market leaders. Suddenly, companies such as Microsoft, HP, Nokia, and RIM (Blackberry) lost their footing and became the challengers as Apple seized the lead. The day before Steve’s passing, Apple launched iPhone 4S and iCloud that allows you to backup and synchronize all of your digital content on all of your devices. Even though there were over 200 new software features in the new phone, including Siri that lets you interface with your phone with voice commands, the media was underwhelmed. Perhaps it was because Steve did not deliver the message. But, many missed the significance of the extremely important message itself, Steve’s message about the post PC era. What characterizes the post PC era apart from the new computing devices is the “cloud” which is remote computer servers. No longer is it necessary for your personal computer to house all of your software (apps), your photos or the documents that you regularly use. No longer is it necessary for your mobile devices to store your music library, your books or your videos. Access to apps and digital media can all take place in the cloud instead of on your computing devices. The big question of the post PC era is this: “On whose cloud will your stuff reside”. And, Steve wanted your cloud to be Apple. The cloud completely changes the economics of the digital age. It brings down the costs of manufacturing devices and turns your devices into vending machines and even wallets. Without an app store, a music store, a book and magazine store and a movie and TV store, the profit margins on the sale of actual devices are quite slim due to fierce international competition. Steve Jobs predicted that the economic driver of the post PC era would equate to this: the amount of revenue from store purchases (apps and media) per device. He knew that sales would be predominantly driven by consumers vs. enterprises as they consume more media than business software on mobile devices. He understood the importance of superlative customer service. He was a contrarian when it came to opening retail stores where consumer could interact with the products and ask any question without feeling ignorant. He also recognized the importance of providing the full spectrum of hardware, software, customer service and stores. Only Apple has the entire package. But, most significant of all, in terms of insuring the future of Apple is the seamless integration and synchronization of all devices via iCloud, which is given away for free. Jobs understood that once you stored your documents and media in your Apple “locker,” and you could access it effortlessly, instantly and simultaneously from any of your devices, it would be too much of a hassle to switch clouds, i.e., switch brands. As a result, Steve Jobs’ visionary leadership at Apple will be felt for years to come. He made sure of that. But, for millions of us Steve Jobs the man, the iconoclast, will always represent the spirit questioning conventional wisdom, following your heart and trusting your instincts. Thank you, Steve for encouraging us to relentlessly and unabashedly pursue market leadership.